Pair of 15-year-old records fall for Lions at David Noble Relays. 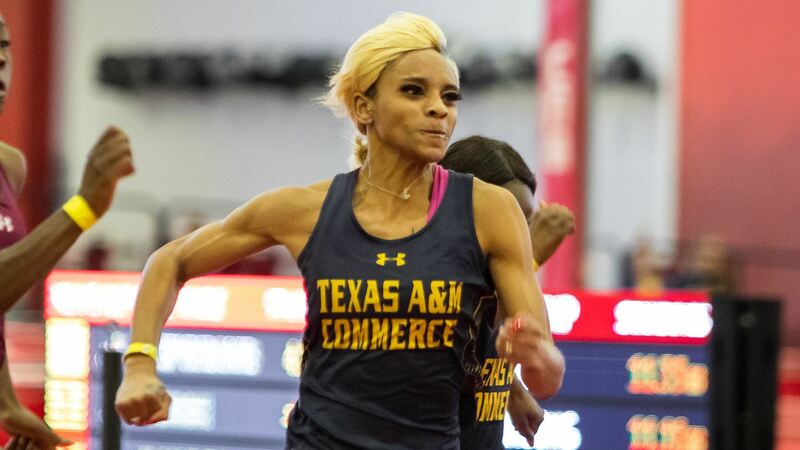 SAN ANGELO – A pair of 15-year old records fell for the Texas A&M University-Commerce’s track and field teams at the David Noble Relay at Angelo State University this weekend. The Lion men finished in second place in the team standings with 113.5 points, while the Lion men placed sixth with 60 points. Eboni Coby (Lancaster) broke the school record in the women’s 100-meter dash, winning the finals with a time of 11.67 seconds, which ranks third in the nation this season. The school record had stood since Kari Harrison set it at 11.75 seconds in 2004. In the men’s discus throw, Josh Boateng (St. George’s, Grenada) continued to improve on his Division II-best mark, winning the event at 59.37 meters (194-9). His launch breaks the Grenadian national record by 2.45 meters. The previous history of his home nation had also been set in 2004. The 4×100 meter relay teams in both genders posted the fourth-fastest time in the nation. The women’s side of Mackenzie Clark (Garland – Naaman Forest), Markaaisha Richardson (Amarillo – Tascosa), Ro’Nisha Simpson (Tatum), and Coby finished in 46.19 seconds, and the men’s team of Dequan Dudley (Harvey, Ill.), Reggie Kincade (Everman), Taylor, and Sanders finished in 40.48 seconds. Atiana Alexander (San Antonio – Northside Taft), Richardson, Simpson, and Minna Svaerd (Karlstad, Sweden) earned the fifth-best time in the nation in the women’s 4×400 meter relay at 3:43.37. Taylor finished the men’s 100-meter dash in 10.48 seconds, and Clark ran the men’s 200-meter dash in 21.14 seconds, each marking the fourth-best in Division II. Hudson Hall (Gregory-Portland) cleared 5.10 meters (16-8 ¾) in the men’s pole vault to rank fourth in the nation. Timon Kemboi (Eldoret, Kenya) earned the seventh-best men’s 800-meter run in the national at 1:51.00. The Lions will host the East Texas Invitational next Friday and Saturday. No. 10 Lions pick up two 5-1 wins to sweep series against Texas Woman University. COMMERCE– The No. 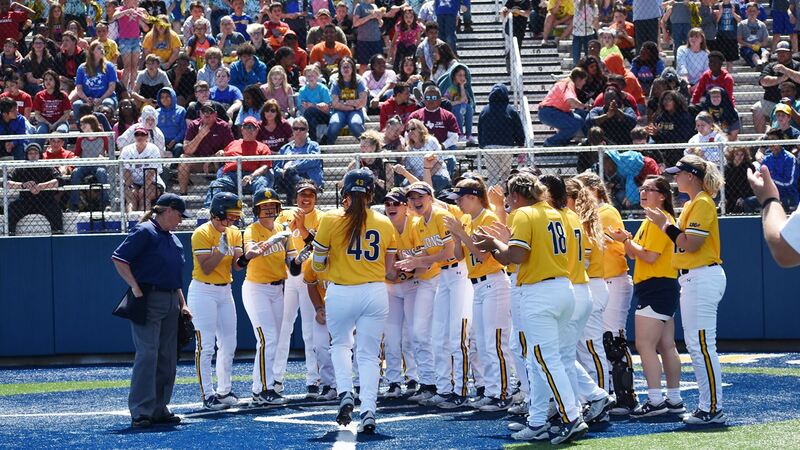 10 Texas A&M University-Commerce softball team defeated Texas Woman’s University twice on Friday afternoon. The Lions won game one 5-1 behind the support of the sold-out crowd of hundreds of area fans from local school districts during Education Day presented by Alliance Bank. The Lions again won 5-1 in the second game of the day. The wins bring the Lions to 33-9 on the season and 19-5 in the Lone Star Conference. The Pioneers fall to 10-21 on the season and 8-13 in conference play. The Lions return to action next week as they head to Stephenville to face Tarleton. The teams will meet in a single game on Friday at 6:00 p.m. and a doubleheader on Saturday starting at 1:00 p.m. All games will be played at the Tarleton Softball Complex. – Kinsie Hebler (Cypress – Cy Fair) had a two-run home run and a two-RBI double. She had four RBIs and had three hits. – Bri Sims (Rowlett) had two hits, including an RBI single. – Kimber Neal (Humble – Atascocita) scored twice. Vanessa Muro (Oak Hills, Calif.) and Ciera Nunez (Amarillo – Randle) both scored once. – Chealsea Slider (Texarkana – Texas HS) and Avery Boley (Fort Worth – Nolan Catholic) also had hits. – Katie Dean (Whitesboro) pitched 6.1 innings, striking out three to earn her ninth win of the season. Emily Otto (Richmond – Lamar Consolidated) pitched the final 0.2 innings, striking out both batters she faced to earn her second save of the year. The Lions took the lead in the first inning. After Hebler walked, Avina entered to pinch run. She advanced on a stolen base and scored on a single from Sims. The Lions led 1-0 after one. After Dean struck out a batter in the second, the Lions added two more runs in the second. Slider hit a double, Neal walked, and both scored on the double from Hebler. The Lions led 3-0. The Lions added two more in the fourth inning. Neal drew another walk and scored on a home run from Hebler. The Lions led 5-0 after four complete. TWU brought its lone run across in the seventh inning. A walk and two singles brought in a runner. Otto then came into pitch and struck out both batters she faced to earn the save. – Vanessa Muro hit a two-run homer in the fourth inning. She had a pair of hits and also scored twice. – Emily Otto earned her 22nd win of the season and pitched her 18th complete game of the year. She struck out a season-high nine batters and allowed just three hits with no walks. – Ta’Lyn Moody (Mansfield – Legacy) had a two-RBI single in the second inning to give the Lions the lead for good. Avery Boley also had an RBI, a hit and scored a run. – Chealsea Slider had two hits, and Kinsie Hebler also had a hit. – Vanessa Avina (Haltom City) and Ciera Nunez also scored runs. TWU scored its lone run of the game on the first pitch of the game as the Pioneers hit a leadoff home run. Otto recovered by striking out two in the first inning. The Lions took the lead in the second inning. Boley and Muro hit singles. Avina entered for Boley, and both Avina and Muro scored on a single in the gap from Moody. The Lions led 2-1 after two complete innings. Otto struck out two more in the third and another in the fourth before the Lions added to their lead again. Boley drew a walk and scored on a line-drive home run from Muro. The Lions led 4-1. The Lions added another run in the fifth as Boley hit a sacrifice fly. Otto struck out two more in the sixth and did not give up another runner as the Lions won the game.